Joanna qualified in 1999 from the University of Bradford gaining experience working in the NHS at the Bristol Royal Infirmary, Torbay & South Devon NHS Trust plus privately at BUPA hospital Bristol. Joanna gained experience treating a variety of musculoskeletal conditions within clinic and community settings. 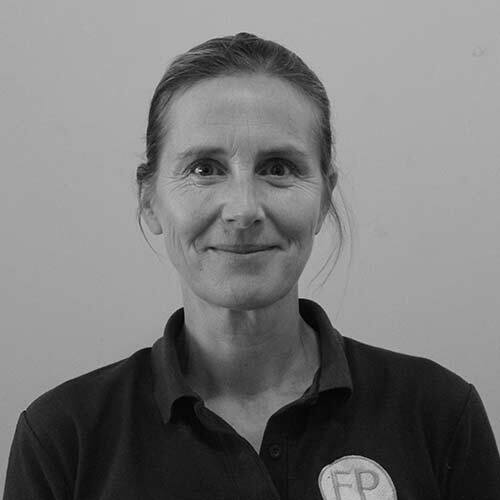 Joanna has completed post graduate courses in Society of Orthopaedic Medicine, Ankle pathology, Pilates, Shoulder dysfunction and Hip & groin injuries. Joanna enjoys SUP, Windsurfing, Tennis and mountain biking when time allows.